A DT400 looks set to become the tenth bike to join Yamaha’s rapidly expanding Sports Heritage range. From the 1970 to 1990s the DT was many bikers first taste of the dirt but the small capacity machine has recently dropped out of Yamaha's range, giving way to the much tamer WR125. 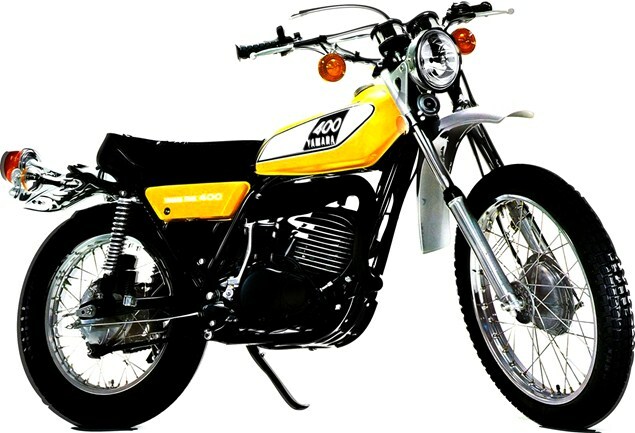 So fans of the original revvy, smokers can forget the possibility of a two-stroke revival because any comeback will most likely employ the 23hp air-cooled single from the current SR400. With the launch of Ducati’s 399cc mini-twin Scrambler Sixty2 on the horizon it’s perhaps unsurprising that Yamaha’s minds should turn to stealing even more of Ducati’s thunder - just as the XSR700 went head-to-head with the larger Scrambler. Visordown would love Yamaha to revive the DT brand - only six years ago we voted the DT125 as the best learner motorcycle on the market. Yamaha is on a roll with its Sports Heritage range with positive reviews following the launches of the XSR700 and 900 and a relaunched DT400 would certainly fit its philosophy of sharing parts to keep costs competitively low.